The 70/70 Table was designed by the design team TAF Architects for Muuto in 2013. 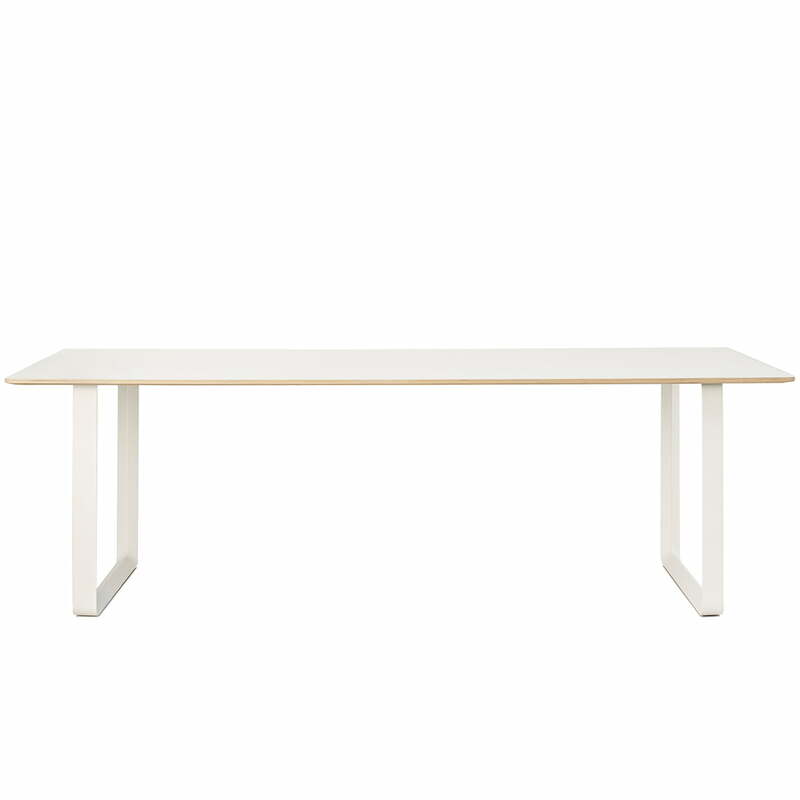 The minimalist design and the airy-light expression, create an overall harmonious look. 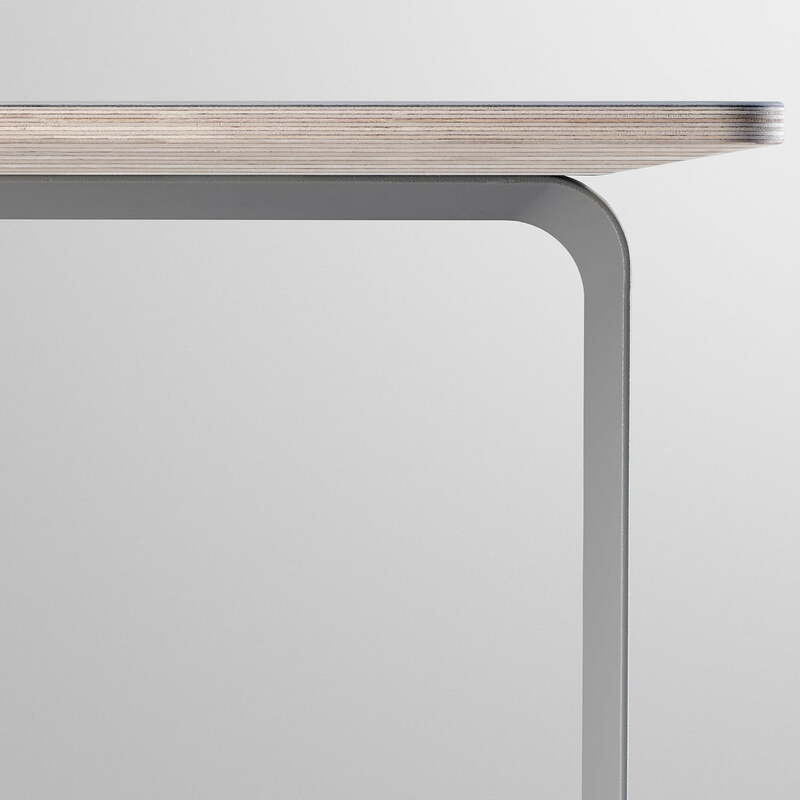 The thoroughly-reduced design is contrasted by fine details in the the table top and the form of the angular frame. The table top of the 70/70 table is made of several glued plywood layers, with a painted surface consisting of linoleum or laminate. 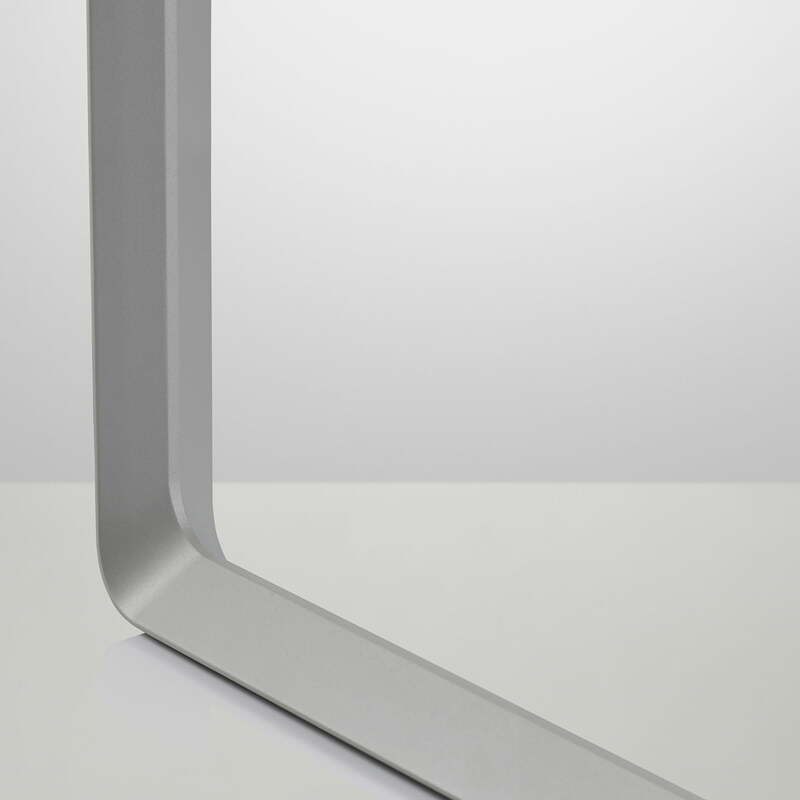 The base is made of cast aluminium and it is connected with the table top with screws. 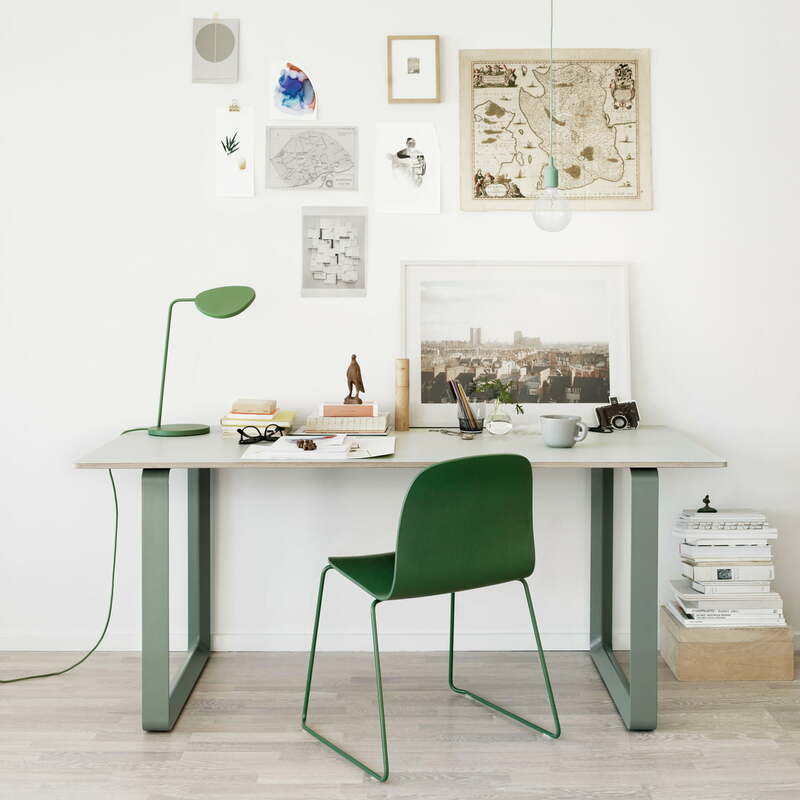 Muuto produces the 70/70 table in various sizes and variants. 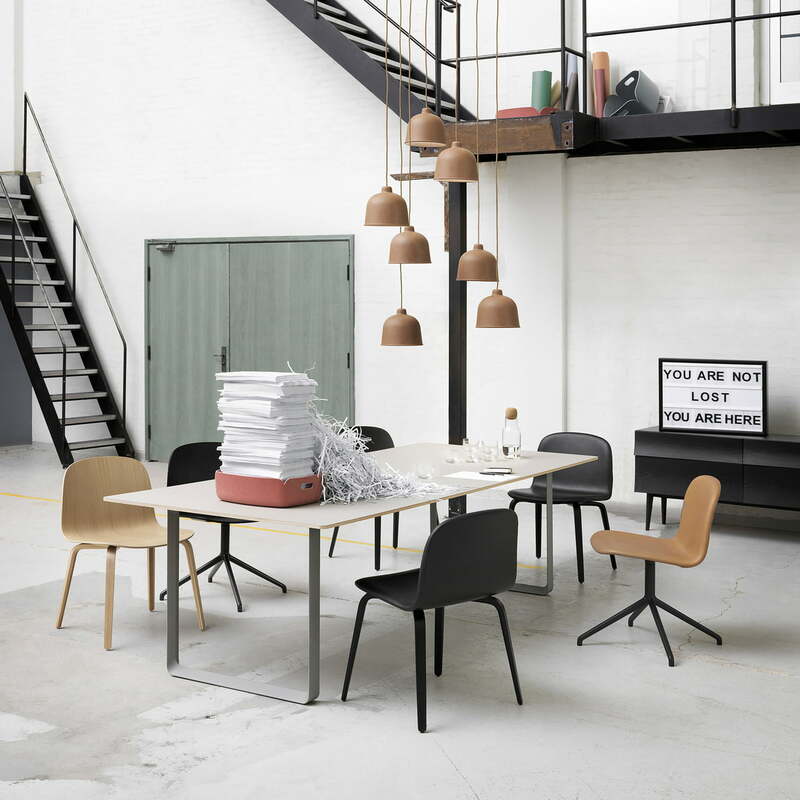 Ambience view of the 70 / 70 table and Visu chair by Muuto in the dining room. 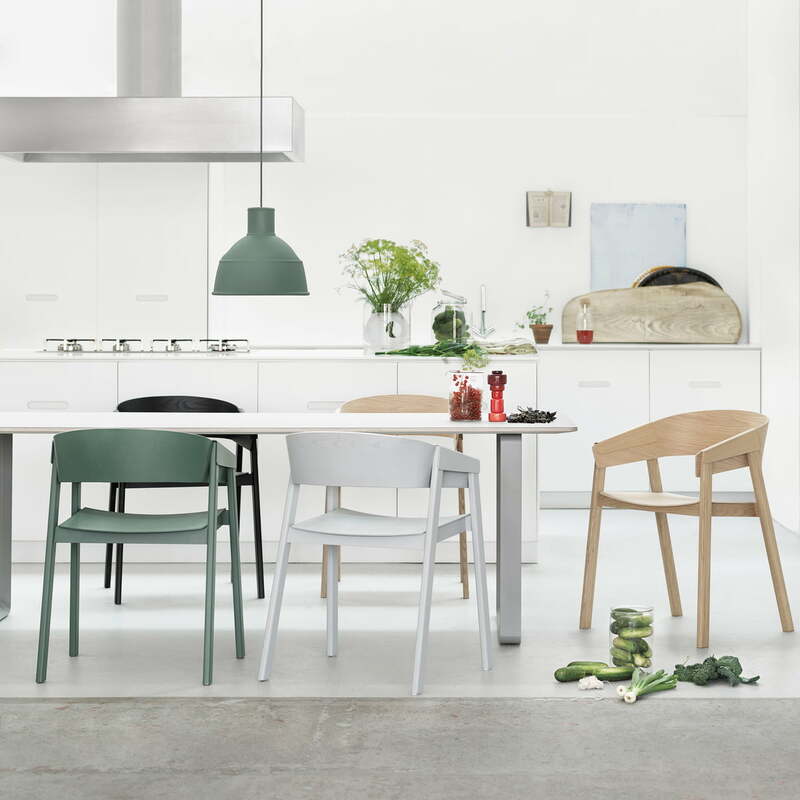 Together, the chairs and the table make for a harmonious picture in the dining room. The 70/70 table in white with the Stacked shelving system in white, the Reflect sideboard and the Nerd chair make for a harmonious picture. 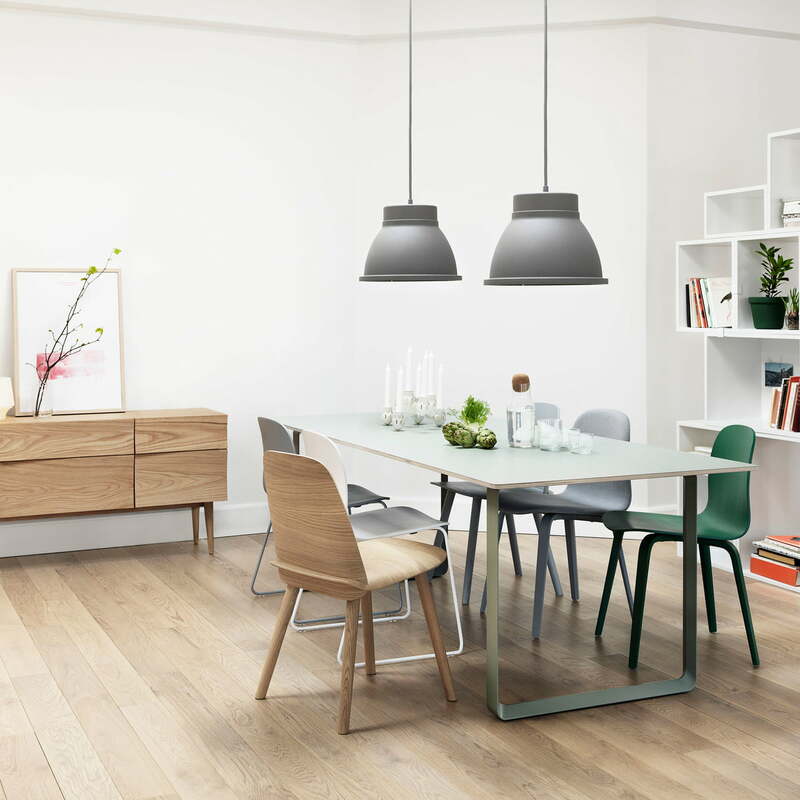 With the Unfold pendant lamp in grey you will set a modern accent. 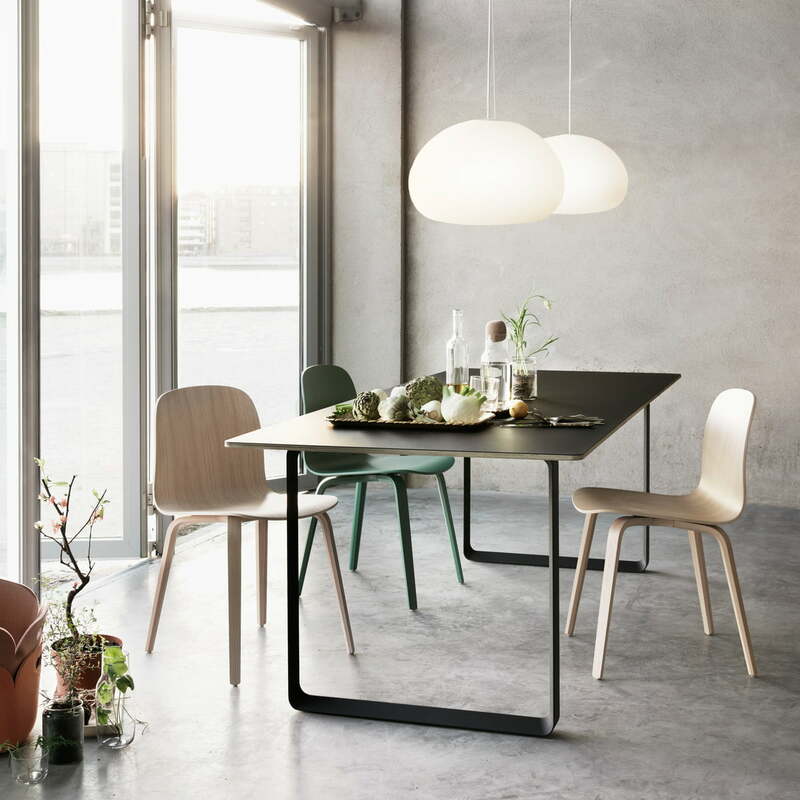 Ambience image of the 70/70 dining table by the design label Muuto. 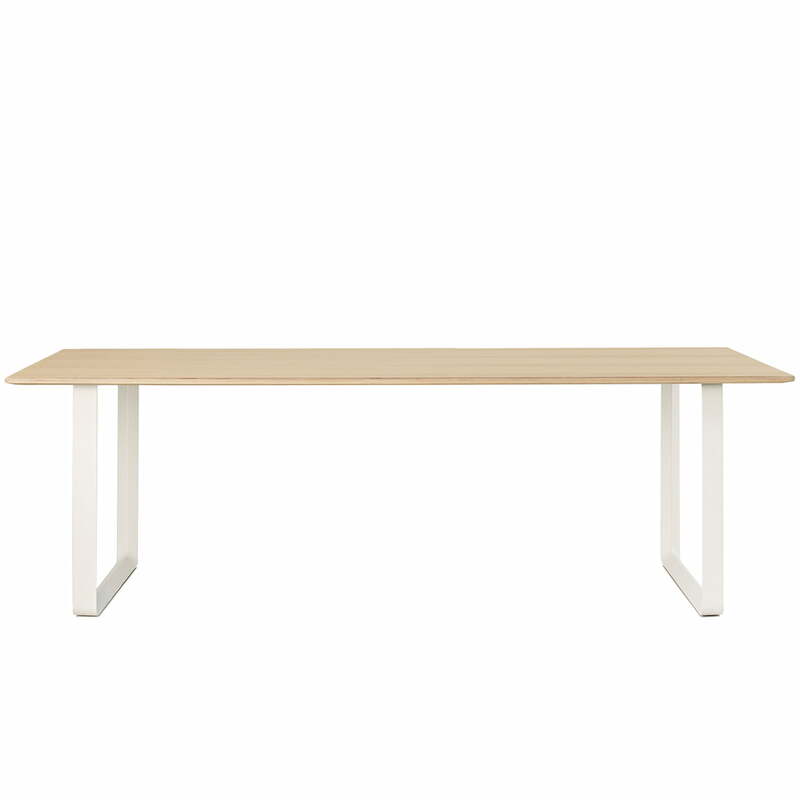 In the workplace, the minimalist dining table by Muuto is very well in large conference rooms.